A geographic rift is emerging between two competing visions for the future. They can’t both win. The fight between B.C. and Alberta over the Trans Mountain oil tanker project may seem unique to Canada’s confederation. Across North America, coastal cities bracing for a century of climate chaos are finding themselves at odds with interior jurisdictions desperate to expand fossil fuel extraction. On the West Coast, politicians in B.C. and Washington are talking aloud about a post-fossil fuel world. Meanwhile elected officials across Alberta, Saskatchewan, Montana, the Dakotas and Wyoming are doubling down on oil, gas and coal. For now, those refusing to plan for decarbonization have powerful allies in Prime Minister Trudeau and President Trump. The Canadian Prime Minister recently decided to spend billions in taxpayer dollars to take over a major oil sands pipeline – while the U.S. president is mulling a bailout of that country’s coal-fired power industry. Coastal politicians are caught in a vise. On one side are constituents demanding that their leaders take a stand for their long-term safety. On the other side are interior provinces and states backed by industry and federal governments in Ottawa and D.C. Underlying the divide over fossil fuel expansion are irreconcilably different views about what makes a safe, prosperous economy. It’s not just a policy disagreement. We are witnessing a fundamental, existential debate about the role of government in a world facing environmental and economic collapse. Can we overcome this divide and find a way to work together to slash planet-warming emissions, protect health and safety, and provide meaningful work for people? Looking at the province-to-province and state-to-state relationships in Canada and the U.S., a happy resolution does not look promising. In a situation that mirrors the battle over oil tankers in B.C., our neighbours in the Pacific Northwest have spent much of the last decade fighting off proposed mega-terminals for thermal coal exports. Municipalities, Native American tribes and state governments have stretched their jurisdiction – sometimes in creative ways – to protect public health, coastal economies and Indigenous rights. But the interior, coal-producing states are fighting back. They believe (or lobbyists have convinced them) that global consumption of coal will only grow. And they argue that coastal governments cannot interfere with export terminals, because the U.S. federal government has made expanding energy exports a priority. The parallels to Canada continue. 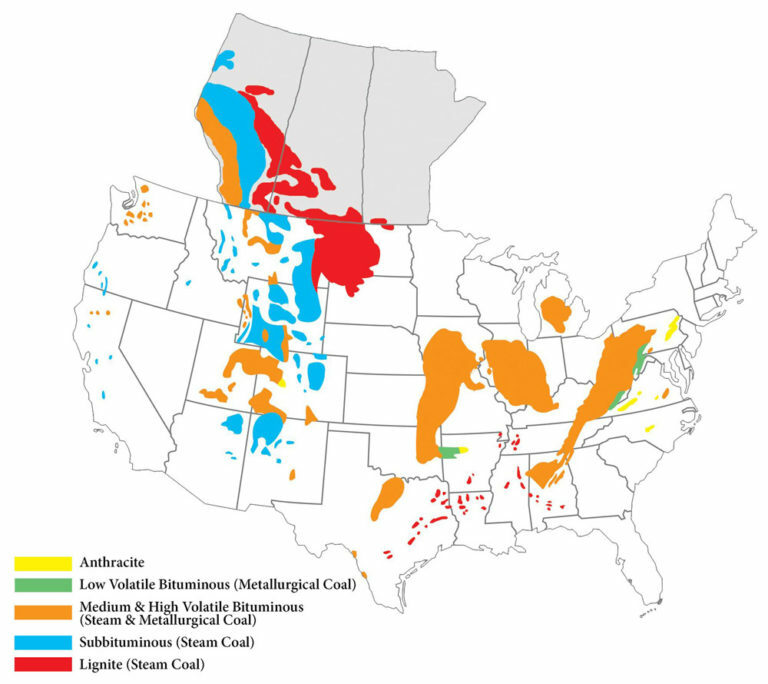 Thermal coal – like Alberta’s oil sands – is landlocked in vast interior deposits east of the Rocky Mountains. And like bitumen, the domestic market for coal is drying up. Both the United States and Canada are shuttering dirty and costly coal power plants. Like asbestos, coal is increasingly considered too dangerous for use in North American cities. But for U.S. companies, the health of people in India or China is not enough reason to shut down the mines. So coal shippers proposed a series of massive export terminals on the Pacific Coast – six in all. Coal would travel by rail from the Powder River Basin and other interior deposits, out to port cities in Washington, Oregon or California for transport to Asia by tanker. As of today, all six major export proposals have either been withdrawn or rejected by local regulators. Public health and safety, Indigenous rights, and climate damage were part of what led to these rejections. In a climactic battle, Washington’s Department of Ecology denied Millennium Bulk Terminals crucial permits to construct and operate the largest coal export terminal on the continent. Their argument – which will sound familiar to those following the Kinder Morgan story in Canada – is that state governments do not have the legal authority to block foreign trade or interstate commerce. In May, friends of the thermal coal industry joined the suit, piling onto the backlash against Washington state regulators. “Washington State’s actions are an illegal effort to interfere and obstruct interstate and foreign commerce of an essential energy commodity, in violation of the Commerce Clause,” said millionaire Hal Quinn, head of the National Mining Association. Washington State is not alone in standing up for the health of its communities and ecosystems – or that of people halfway around the world. In B.C., First Nations including Coldwater, Stk’emlupsemc te Secwepemc and Tsleil-Waututh have ongoing legal challenges to the Trans Mountain pipeline. They, too, see protecting the land, water and health of their people as more important than fossil fuel expansion. Tanker spills, tank farm fires and pipeline ruptures are all real and immediate threats to coastal populations throughout B.C., Washington, Oregon and California. Meanwhile sea level rise, storm surges, heat waves and wildfires are increasingly a factor in decisions about long-term planning and infrastructure design. It’s no coincidence that local, state, provincial and Indigenous governments are uniting in their opposition to expanded fossil fuel exports on the Pacific Coast. That puts them on a collision course with interior jurisdictions panicked by the prospect of declining demand for the fossil fuels they produce. The stark reality is places like Alberta and Wyoming will suffer serious social and economic damage if their assumptions about fossil fuel growth prove mistaken. Both futures can’t come true. The more Alberta or Wyoming policy-makers hide from the truth that the planet is warming and that burning fossil fuel is largely the cause, the more our populations will be divided. The more our federal governments dismiss municipal, provincial and Indigenous leaders alarmed by the risks of expanding fossil export, the deeper those divisions will become. The way forward is to address both sets of fears. Coastal cities will not survive many oil spills or metres of sea level rise. To protect human life, ecological integrity and vital economic zones, the fossil fuel trade will have to shrink in the decades to come. At the same time, people must find meaningful employment in interior communities dependent on extraction. Canada and the U.S. can pursue the win-win path of renewable energy, electrification and de-carbonization. Or they can keep bowing to the short term needs of the fossil fuel industry. If they do, the fractures between coastal and interior peoples will only worsen. Left for too long, this divide could weaken the political legitimacy of national governments – to the point that a managed transition becomes impossible. Speak up now and demand that the federal government abandon the Trans Mountain pipeline bailout. Well put. It strikes me as somewhat ironic that Pierre Trudeau took tough decisions that kept Canada united when the FLQ threatened to break it up and now his son can’t see the right path forward and has made choices and broken promises that are fracturing the country! This appears it will be his ultimate legacy. Pierre Elliott Trudeau sold out the Bank of Canada ACT (no interest loans to the provinces from 1938 to 1974) to the private banking cartel in 1974. From then on the provinces had to borrow money for projects from the WB, IMF and the private banking system. From 1974 to 2012 according to lawyer Rocco Galatti, who took this case to the Federal Courts from 2011 to 2017, we paid $1.1 Trillion dollars we would not have had to pay in interest under the Bank of Canada ACT (Public System). So P E Trudeau was not lily white. I’ve commented a few times on social media and with friends that Justin Trudeau feels sticking to his plan to proceed with the Kinder Morgan Trans Mountain pipeline to the coast is like his father standing up to the FLQ. BC needs to bite the bullet and just do it. We can break away. Solar. Natural gas. Thermal. Its our choice. We seem to be forging ahead. Lets just do it! We will be leagues ahead in just a few years. If Central America can afford solar so can we. Stop catering to Texas billionaires and Chinese polluters. Protect BC and Washington coast lines. Use the money to set up alternate energy sources. Justin is friends with George Soros and has allowed the Soros foundations a place in Canada. George Soros is now doing in Canada the same crimes he was pulling in the USA. He has Justin Trudeau’s ear and has lined his pockets to have his devotion too. We need them both out!! giᴠing us somеthing informative to read? Well said. I’m on board!